This is Jimmy, the raccoon. Although raccoons have been known to live over 20 years, their average life expectancy in the wild is only 1,5 to 3 years. Hunting and traffic accidents are the most common causes of death in many areas. Jimmy was found left alone by his mother. Maybe the mother left him because Jimmy has some birth defects. His teeth grew in the wrong direction and his toes did grow together. Those small handicaps do make him a bit more vulnerable. 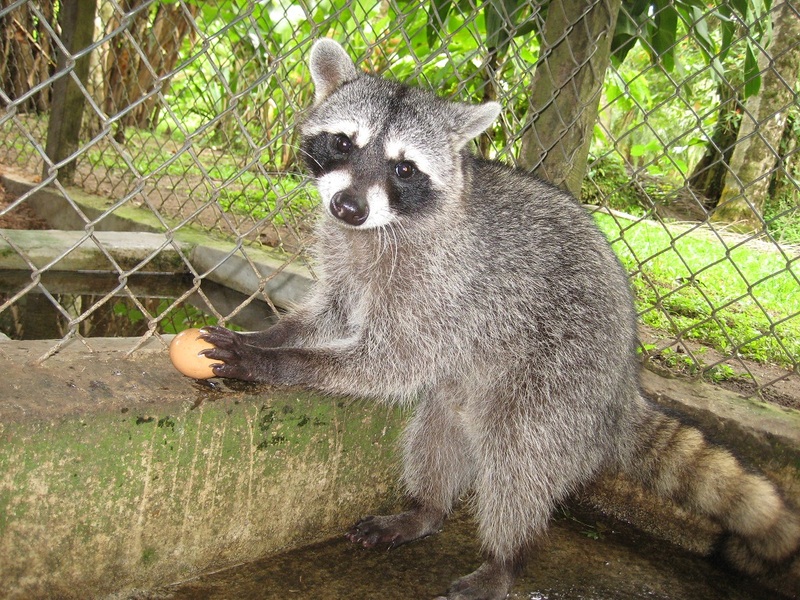 This is Coco, the raccoon. Coco is born in the center of the busy city of San Jose. 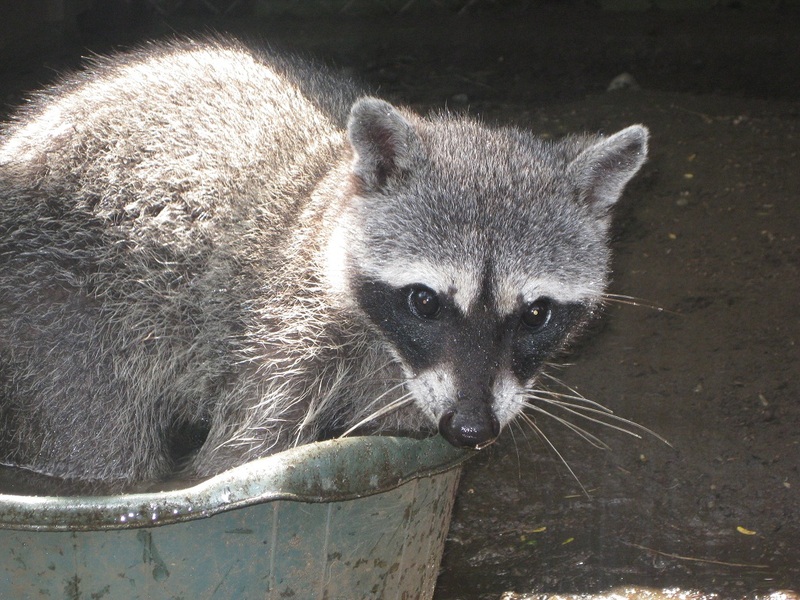 Raccoons are easy adapting to different kinds of environments and thus also to city life. Of course the city is not their natural environment but they have lost much of their habitat. Some nice people in San Jose found the baby raccoon and fed her with a bottle. The people did take good care of the little raccoon but she did get infections on ears, feet and tail. They brought Coco to Tree of Life Wildlife Rescue Center to continue the care of the raccoon.Now Coco is together with Jimmy and they seem to be good friends.